I love gelato, for a lot of reasons. It tastes better than regular ice cream and is better for you. It isn’t as aerated, it has a more pure flavor, it’s creamier and has less calories. AND it just tastes better! 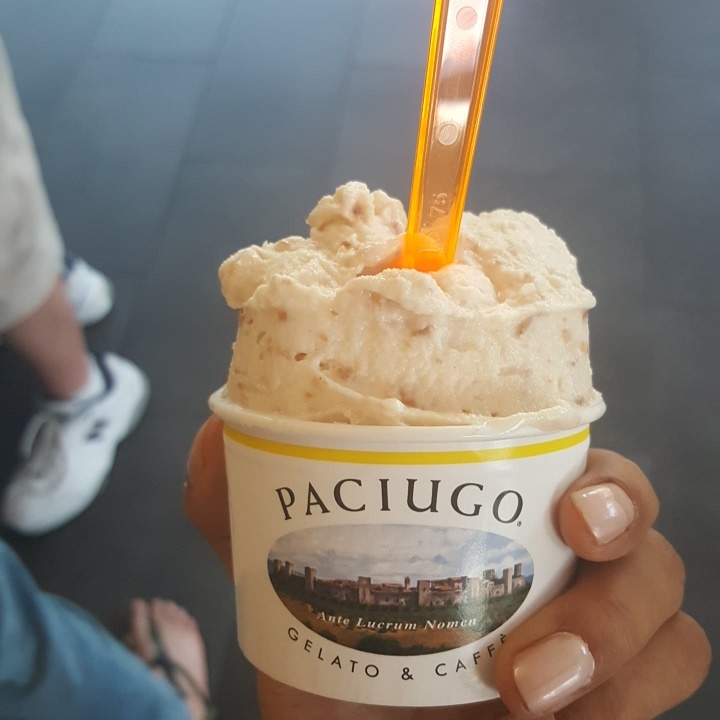 And in the DFW area, nobody does gelato like Paciugo! I love coconut, so I decided to get that one. Usually I get the Stracciatella, which is a vanilla with chocolate ribbons or Pumpkin Pie, when it’s in season (they usually have it around September or October). I’m not usually a fan of venturing out, just because I have a fear of something too sweet ending up in my cup. But, this wasn’t. It was a nice coconut flavor with a touch of sweetness. Nothing overwhelming and definitely a creamy taste. I really liked it and might even order it again! If you have a sensitivity to sugar, you might want to be careful with any gelato or ice cream. The size you see in the photo is the smallest available, but is still very filling. So, if you aren’t sure, you can share it with someone. Also, if you are worried about a dairy sensitivity, they have non-dairy options and sherbets. And those are just as good! They even have coffees and shakes (with or without gelato! )!